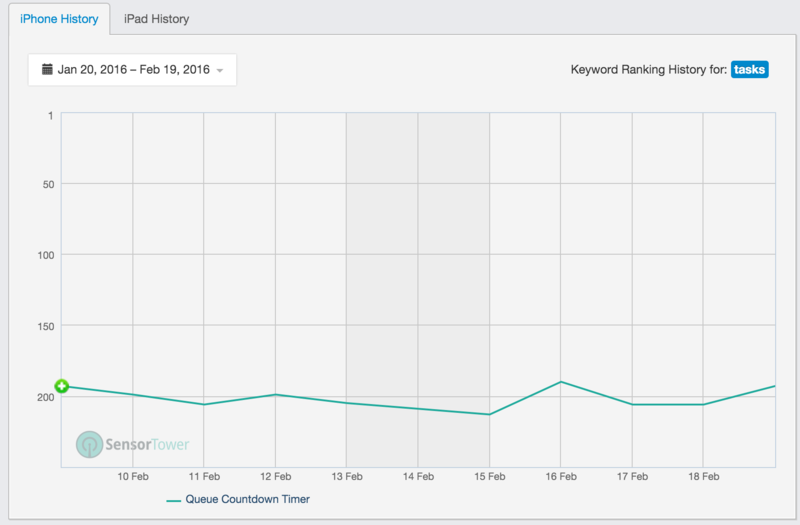 Stay up-to-date on the latest trends in app store optimization by bookmarking our ASO posts page. The ability to attain a high ranking for keywords and variations of those words found in an app’s title or keyword space. Please note that these results are based on observations from our study and are not meant to be definitive; our findings may not mirror results from marketing your own apps and should be consumed as directional insight. Additionally, we are constantly uncovering new learnings from studies and adjusting through app store ranking algorithm changes, so check back often to stay in the loop as we may update content with new discoveries. Enjoy! Please feel free to email us with questions, comments, inaccuracies or ideas for future studies. Repeating keywords across the title or keywords space may possibly boost rank; however the common guidance is not to repeat keywords and most keywords in title scored top 10% rank at any rate. 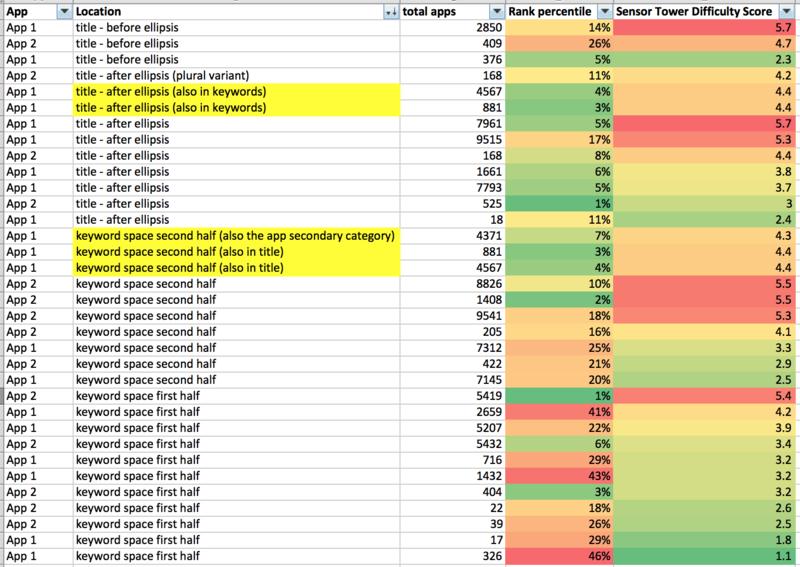 BUT the 2 BEST scoring keywords for app 1 (weekly and tasks) were mentioned in both the title & keywords. 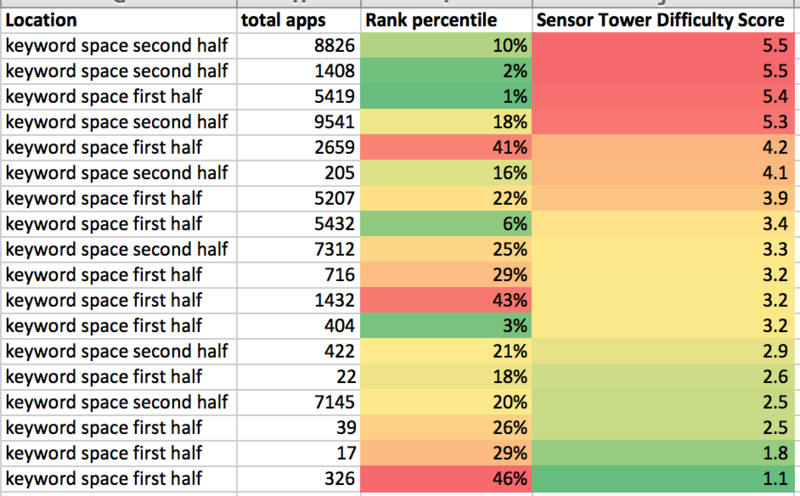 Sensor Tower’s difficulty score was not correlated with the ability to rank well or not well; in fact, the data shows a slightly negative correlation, indicating that a higher difficulty score was more often seen for a keyword that achieved a better rank. Even when looking at only keywords in the keyword space, the negative correlation still exists. For example, get it done had a difficulty score of 2.4 but ranked worse (11th percentile) than done (5th percentile), which had a 5.7 difficulty score. That’s all for today! Thank you for following along. Be sure to sign up for our email list below for future updates from the Incipia Internal App Store Study Series and other company operations, and feel free to reach out with questions, comments, inaccuracies or ideas for future studies to hello@incipia.co . At Incipia not only do we build and market our own internal mobile apps, but we are also available for hire as a full service app firm to help companies design, develop and market apps. For inquiries, please fill out our inquiry form.